Aerons SK10A PORT BT Professional loudspeaker Accessories Included Remote, with Charger. Aerons SK8A PORT BT - 8 inch PA Speaker. Ahuja MIC AWM 890UHF Wireless Microphone High performance multi-channel UHF Wireless Microphone System incorporating PLL frequency synthesis for stable performance. Ahuja SRX-500 2-way speaker system with exceptional efficiency, long throw and unmatched intelligibility of sound. It consists of two 15" high performance full range dual cone speakers and a High frequency compression driver. The speaker system is housed in an acoustically treated Bass Reflex Trapezoidal carpet covered enclosure. Ahuja WA-620 is a compact, reliable and easily portable PA wireless meeting amplifier with built-in rechargeable battery. It is ideally suitable for classrooms, coaching centers, conference rooms, presentations, parties, bus tours, small religious gatherings and small outdoor gatherings. 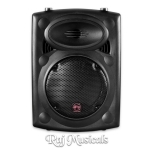 Ahuja WA-625DPR is a compact, versatile and easily Portable PA System with built-in digital MP3 player and recorder. Akai EIE is all about plug and play convenience. 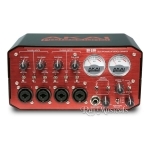 With the EIE tabletop USB audio interface from Akai Professional, you can connect virtually any musical instrument or piece of production gear to your computer. Akai MPC Element brings powerful music-making capability to your computer in a slimline design that's made to produce. 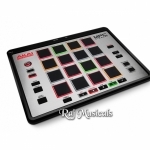 Akai MPD218 is a MIDI-over-USB pad controller perfect for producers, programmers, musicians and DJs alike. Its intuitive blend of MPC controls and technologies mesh with easy USB connectivity to bring the feel of classic beat making into the world of computer music production. 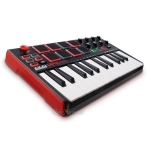 Akai MPK mini is an ultra-compact keyboard controller designed for the traveling musician and the desktop producer. Akai MPK Mini mkII Limited Edition with 25 velocity-sensitive synth-action keys with dedicated octave up and down buttons to increase the keyboard to the full melodic range. Akai MPK Mini mkII Limited Edition White with 25 velocity-sensitive synth-action keys with dedicated octave up and down buttons to increase the keyboard to the full melodic range. Akai MPX16 is an advanced sample player with sixteen backlit velocity- and pressure-sensitive pads. With it, musicians, producers and performers can trigger sound samples stored on standard SD or SDHC cards.